Register in the MyBridgeRadio group. You will automatically receive the best pricing available. For every 5 couples who register, we earn a free couple’s registration. We give those free registrations to couples whose marriage is in crisis. Get Away and Come Together! 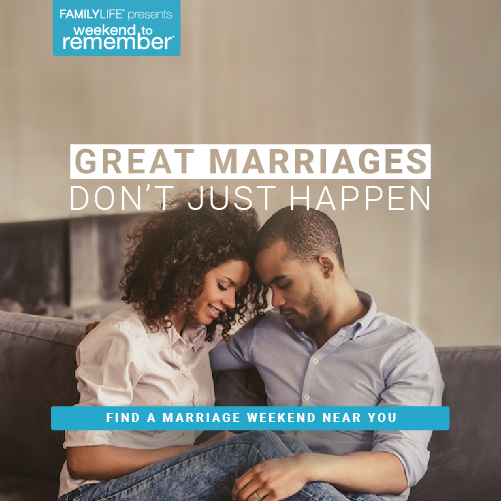 Find out what over 3 million couples worldwide have experienced at FamilyLife’s Weekend to Remember®. It’s your turn to make a great marriage happen.